These Mexican Mango with Chili and Lime yogurt bowls include fresh mango, lime juice and chili lime seasoning. It’s a wholesome breakfast bowl that’s loaded with protein. This post is sponsored by Wallaby Organic Greek Yogurt and Kefir. All opinions are my own. If you’ve ever had the pleasure of trying mango con chili, then this sweet, spicy and salty Mexican treat may just be as dear to your heart as it is to mine. Growing up, I remember the occasional selling them in carts, made fresh to order. Sure we had ice cream trucks as well, but this was just as fun. I’m giving this classic recipe a wholesome update with these Mexican Mango with Chili and Lime Yogurt Bowls. 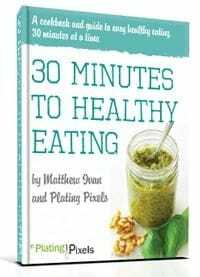 It’s a simple recipe with only a few ingredients, perfect for a quick breakfast before work or on-the-go. 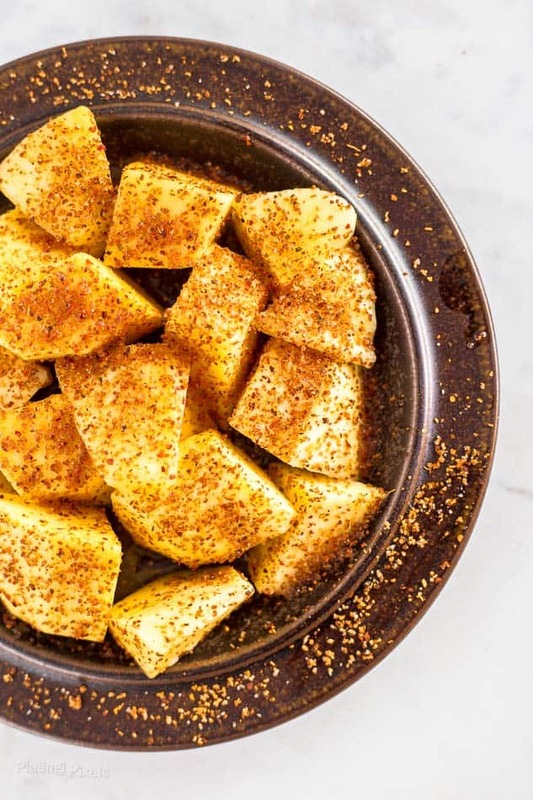 Start with the mango with chili and lime, then place in a bowl with Greek yogurt. Since the mangoes are sweet, plain yogurt works well. Then make it more wholesome by adding additional fruits such as pineapple or kiwi, and chia or flax seeds for fiber. 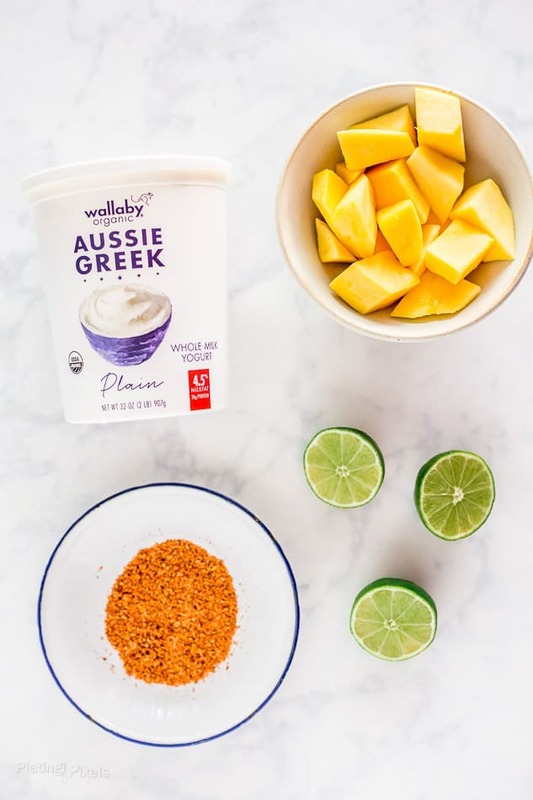 If you want to pack in plenty of protein in these Mexican Mango with Chili and Lime Yogurt Bowls, use Wallaby Organic Greek Yogurt. Just a one 8-ounce serving of the Plain Whole Milk Greek Yogurt has a whopping 21 grams of protein, or 42% of the daily minimum value. This Australian-inspired organic yogurt is made with a unique slow culturing process that takes twice as long, creating a tart-free indulgent taste that’s mellow, yet delightful. It has a thick, creamy texture and is great on its own or with add-ins. What is Mexican Mango with Chili and Lime? It’s a simple recipe of fresh mango, squeezed lime juice, and chili lime seasoning. Typically cut and made right when you order for maximum freshness and flavor. It’s fun to watch and to eat. The mangoes are often a slightly under-ripe to give it a bit of crunch and tang. 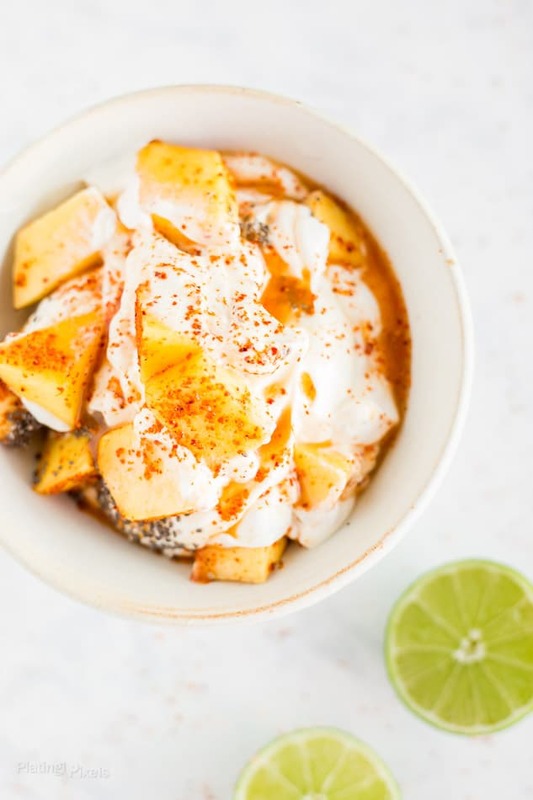 I recommend using slightly ripe mangos for this Mango with Chili and Lime Yogurt Bowls to add natural sweetness and compliment the smooth organic Greek yogurt.. 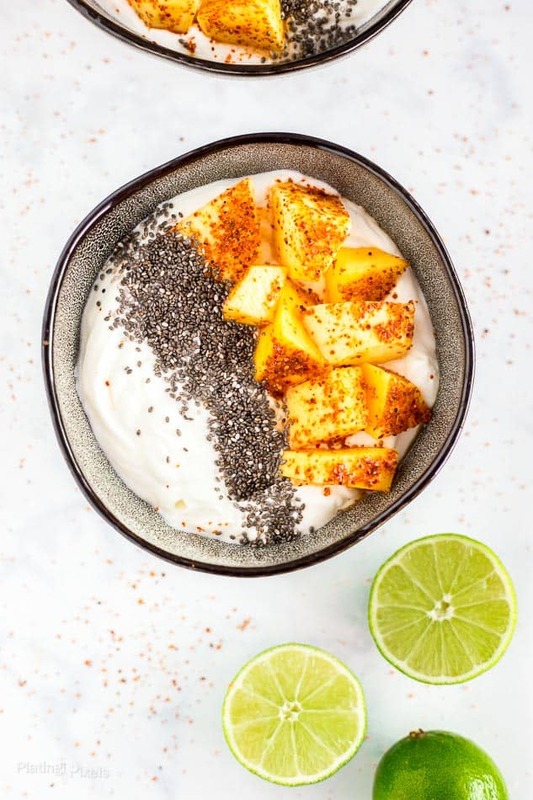 Enjoy Mexican Mango with Chili and Lime anytime with this simple yogurt bowl. It’s a fun way to indulge in a childhood classic, while fueling up for the day ahead. Mexican Mango with Chili and Lime yogurt bowls with fresh mango, lime juice and chili lime seasoning. Peel and core mango, cut into ½-inch chunks. Place in a bowl and toss with 1-tablespoon lime juice. Sprink with tajin seasoning to coat. Set aside. Divide Greek yogurt between two small bowls. Stir in remaining lime juice evenly between bowls. 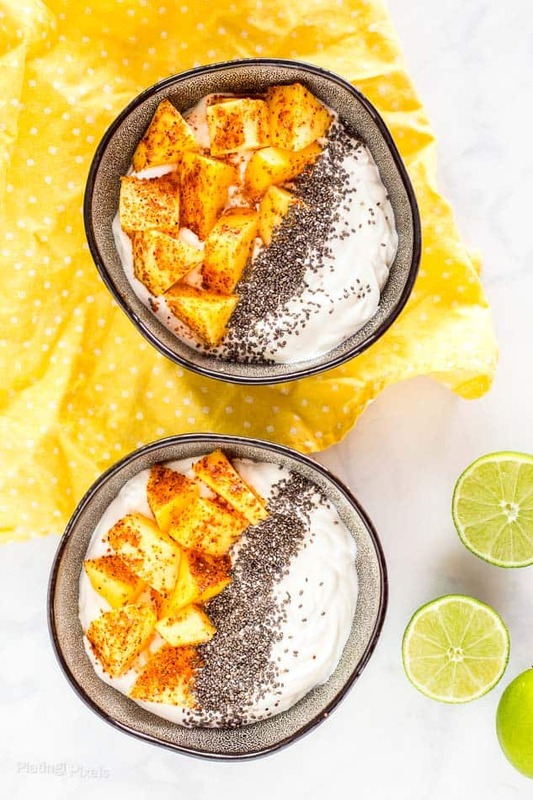 Top with prepared mango chunks and chia seeds. Stir if desired and serve. I am always looking for mango recipes we have two trees here in Florida and I tire of the same the thing this is getting printed off and thank you! That’s great and I wish I had my own mango tree. Glad you’re getting to put them to good use! Ok, this looks amazing! So many great flavors all in one bowl! Very much interested in trying this recipe. Looks like a perfect breakfast to start the day! Thanks Mirlene. I hope you like it! This is a perfectly packed full of protein breakfast!!! It totally is, thanks Tisha! What an amazing combination of flavors. I love all the regional cuisines and glad you shared this. I am just starting to use mangos more. 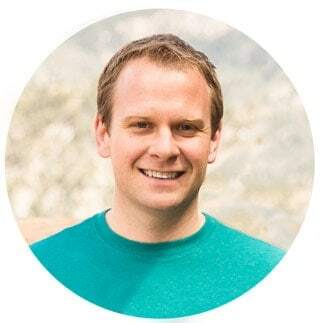 Thanks Jere! I’m a big fan of mangoes but often just use them in smoothies or on their own. Their great for other uses too though.